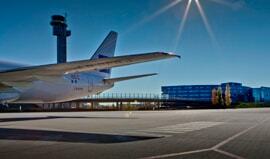 For anyone visiting Svalbard (Spitsbergen) Oslo and Longyearbyen will feature in your travel arrangements. 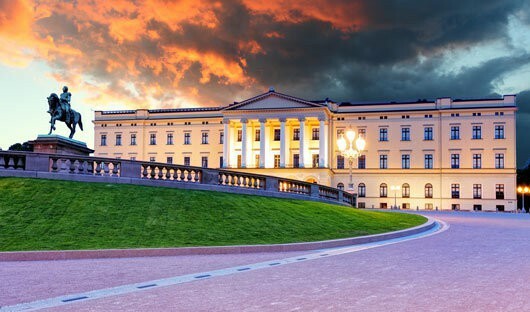 Norway’s capital, Oslo, is a wonderful city to break the journey from Australia. With many fine buildings, museums, parks and restaurants to explore. A flight from Oslo, often via Tromso, will take you to the small town of Longyearbyen. 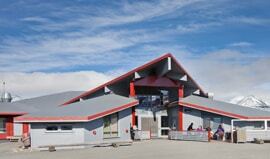 Due to limited capacity it may be necessary to arrive into Longyearbyen a day before your voyage departs or after your voyage ends. Despite having just two streets Longyearbyen is a lively place to spend a night, the museum is also well worth a visit. Norway’s capital, Oslo, sits on the country’s southern coast at the head of the Oslofjord. Is a beuatiful city with many parks and museums. Many of these are on the Bygdøy Peninsula, including the waterside Norwegian Maritime Museum, the Fram Museum (which was built around the ship) and the Viking Ship Museum. 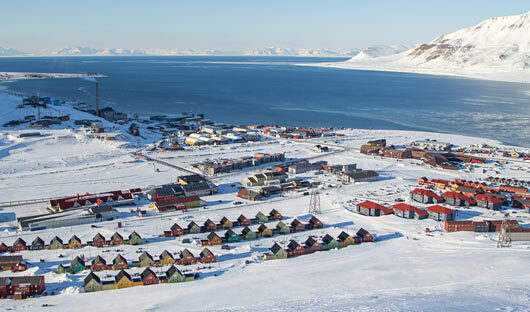 Longyearbyen is the largest settlement (village) on Svalbard. It has a population of around 2,300 people, with just two main streets. Longyearbyen is located in the Longyear Valley on the Adventfjorden, a bay of Isfjorden. It is the world’s northernmost settlement with a population of more than 1,000 permanent residents. The town (Longyear City) was established by and named after John Munro Longyear , whose Arctic Coal Company started coal mining here in 1906. The town was almost completely destroyed by the German Navy on 8 August 1943, and was rebuilt after the Second World War. Longyearbyen has seen a large increase in tourism and research. It is now home to the Svalbard Global Seed Vault; a secure underground facility capable of storing millions of seeds. The facility was designed to protect against natural and human disasters, including global warming, floods and fires and nuclear holocaust. And was chosen due to its remoteness, sound geology and the ambient temperature of the permafrost. 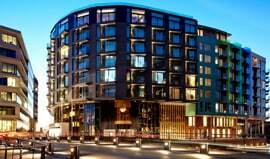 Located between the iconic Astrup Fearnley Museum, the canals on Tjuvholmen and the Oslofjord, most of the 118 rooms have brilliant views. Timeless elegance with clear references to contemporary art and design is the common denominator for THIEF furnishing. The hotel’s own art curator has hand-picked art for every single room and suite from the THIEF art collection. Perfectly located if your international flight does not connect with, or you have a very early to flight to, Longyearbyen the Radisson Blu Oslo Airport hotel offers not only convenience but also comfort. The hotel is just 100 meters from the hotel and the Airport Express Train, which will deliver you to Oslo city center in 20 minutes. This makes it the perfect place to stay if you prefer a short journey to reach your flight, but still want to explore the many attractions of the Norwegian Capital. Located on Norway’s largest island and only 1,300 km from the North Pole. One of the Northern most permanent settlements in the world, Longyearbyen provides views of the area’s snowy peaks and glaciers, the summertime glow of the midnight sun and an array of Arctic wildlife species. Keep the chill at bay in one of the 95 comfortable rooms, prior to joining your Expedition voyage.